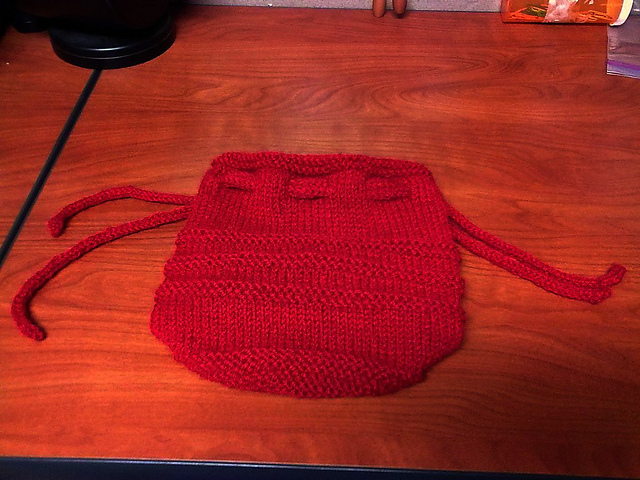 Ignore the HORRIBLE coloring in these pics of the bag. 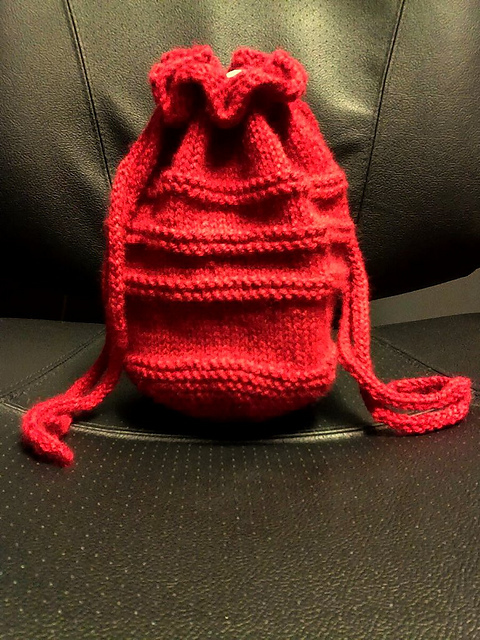 I made it for a friend for Christmas, and the red is actually GORGEOUS. <3 Wristband. I thought it was cute! 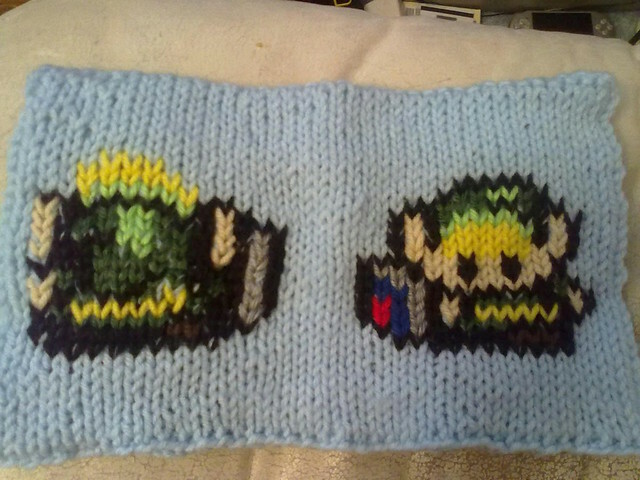 A Cactuar wristband. I wanted to see how it would look to try to make one! I'd definitely not give this to anyone - it came out very large and kinda sloppy, but it was a fun experiment. 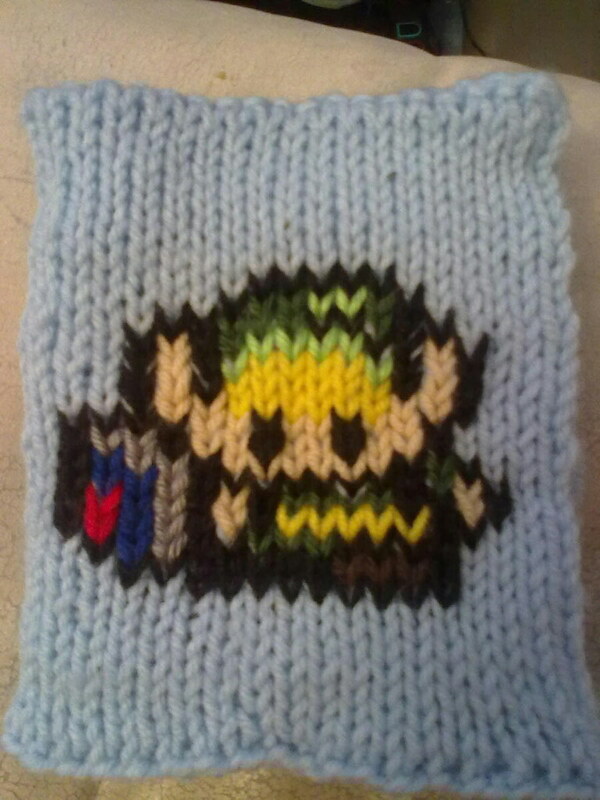 And finally, a Link KNITTED CARD I made for Courtney. It was SUPER fun. 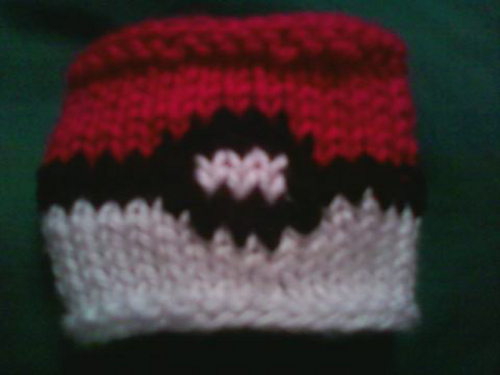 It was my first attempt at double-knitting, and I made sure to keep the two sides separate save for the edges so that I could successfully duplicate stitch it. I didn't take a pic of the inside because it wasn't as cool as the front and back of the "card."